Wie bezeichnet man seine Zugehörigkeit zu einer Gruppe? Wie drückt man Dissens aus? Demokratie ist kein leichter Weg. Er erfordert Geduld, Verantwortung, Mut und Demut. Teil einer Gruppe zu sein bedeutet sich in Frage zu stellen und etwas von sich selbst preiszugeben. Eigene Ideale, eigene Vorstellungen und Vorhaben verwandeln und verändern uns kontinuierlich innerhalb eines demokratischen Prozesses. Was macht eine Gruppe mit einem Individuum und wie verwandelt es sich? 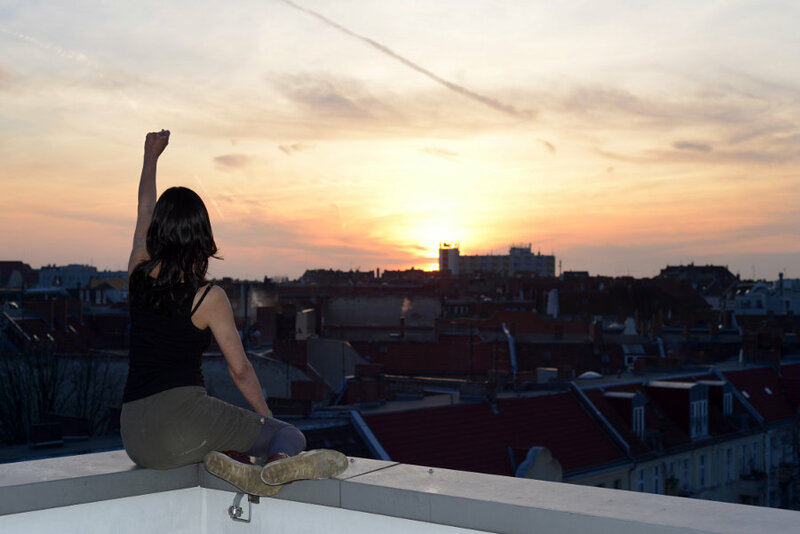 In diesem Workshop wird ein Raum geschaffen um sich mit den verschiedenen Möglichkeiten des kritischen Nachdenkens über repräsentative Demokratie durch Spiel, Improvisation und Bewegung auseinanderzusetzen. Konkret wird mit einfachen Gruppen-Improvisationen gearbeitet, welche ihren Fokus auf das Bewusstsein gleichzeitig für sich selbst und andere verantwortlich zu sein, richten. Dieser Workshop vermittelt einfache Strategien für alle, die sich mit dem Thema „Demokratie“ beschäftigen und möchte dieses Konzept konkret erfahrbar machen für: Künstler, Theaterpädagogen, Sozialarbeiter, Aktivisten und engagierte BürgerInnen. Eure Geschichten machen diesen Workshop lebendig: schenkt mir eure Erfahrung und Assoziationen zum Thema Demokratie. 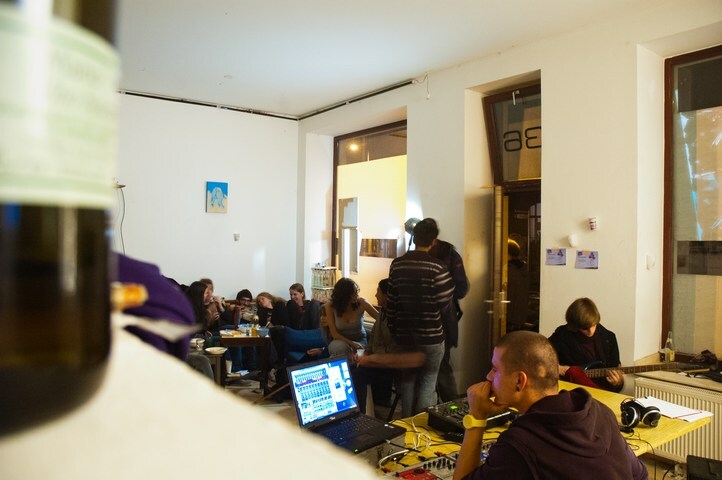 Our Greenfields Geräusche event at Sublab three weeks ago was a pleasant success, with an audience of hackers, culture jammers and musicians turning out to join an evening long voyage into electronic sound created live on stage by three international artists. For those who couldn’t make it to the live event, here are some photos and sound recordings from the performances for your attention and pleasure. Vorsichtig wird der Frühling in Leipzig eingeläutet, wie Antonio Vivaldis Frühling lassen wir Leipzig langsam aufblühen ruhig harmonisch. Schön spriessen vorsichtig die ersten Blumen um uns herum und wie die Natur blühen wir langsam auf hören die ersten Vögel singen und freuen uns darauf uns von der Sonne langsam die ersten warmen Strahlen in unsere schläfrigen Körper zurückkehren zu lassen. Mit diesem Motto werden wir uns langsam unserem Lebenselixier der großen runden Scheibe am Himmel zuwenden die in uns neues Leben erweckt. Und wie das erste Grün langsam aus dem Boden aufkeimt, werden auch wir den Platz, den unsere hungrigen Seelen jetzt freigeben mit frischen neuen Trieben bewachsen lassen, damit wir im Sommer üppige Früchte ernten und dem zarten Anfang neue Keime liebevoll umsorgt ins Leben spriessen. Ruhige Klänge sollen sich diesesmal ausbreiten und die Jahreszeitendämmerung ankündigen. Sanfte Flächen aus Frequenzen werden den Raum langsam mit bunten Spektren füllen. Inspiriert von den sanften Tönen eines schwingenden elektronischen Orchester soll ein Raum entstehen in dem wir zusammenwachsen ohne Hast und Eile wie ein Geflecht aus neuer Wahl die Plattform erschaffen auf der sich die Welt neu und frisch drehen wird um uns um unsere neuen und wiederentdeckten Leben in und durch die Musik in uns allen. Lasst uns die Seite des Frühlings langsam anstreichen. Auf den grünen Feldern. All good musicians, listeners, foot tappers and muses welcome. – oder bringt noch etwas anderes mit! Post-punk electro hip-hop crime fighting duo and former Greenfields Studio residents Psycho & Plastic will be embarking upon a mini-tour of Germany this week to promote their first EP release, which they recorded right here at the Greenfields. The Shibuya Beach Bar tour will take them through three cities in three days, starting in Berlin Prenzlauer Berg on Thursday, moving to the world famous Gängeviertel in Hamburg on Friday and finally arriving right here in Leipzig on Saturday to play at the Ski Laden project space in the East of the city. If that wasn’t already exciting enough, London based singer-songwriter Veronique Acoustique will also be in town on Saturday to play at the Musikhaus Kietz Record Store Day event in Leipzig Zentrum/Süd and will then join Psycho & Plastic live on stage later in the evening at the Ski Laden to serenade the audience with her unique mix of sultry psychedelia and vocal driven folktronica. Accompanying Psycho & Plastic and Veronique at the Ski Laden will be Greenfields’ own audio-visual team, DJ YBA (You’ve Been Asassenated) and VJ Niloy, who will take over after midnight and whip up a party frenzy with a diverse selection of acid squeaks, breakbeats, bass bomps and psycho-active projections. A night not to be missed! To celebrate the departure of a great evil from England’s shores, tonight’s Ambient Reading Room will be themed around the Britain that Margaret Thatcher created and the counter cultural movements that she inspired. A selection of books on British counter-cultural action from the late 70’s to the early 90’s will be available to read in the studio along with a sublimely ambient soundtrack provided by Greenfields regular DJ Soundz Byond Thecase and real British tea! 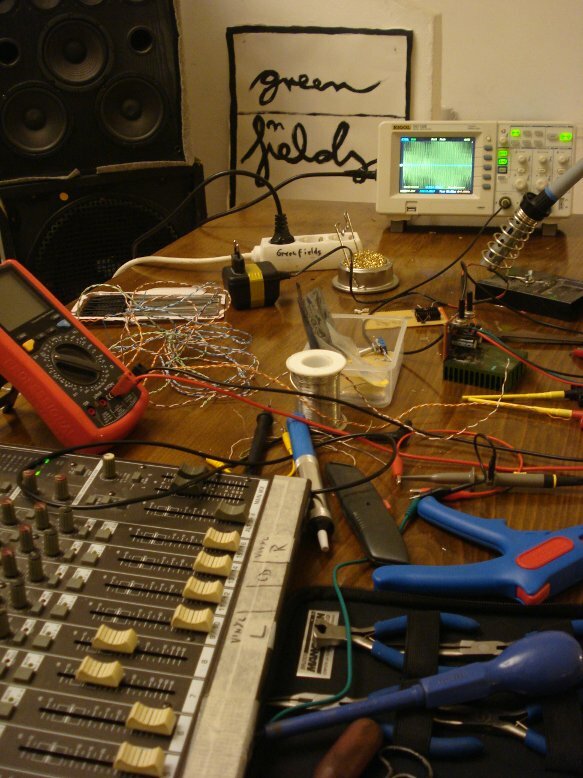 On Saturday March 30th The Greenfields will be hosting a DIY sound synthesis open lab/workshop day and jam session. 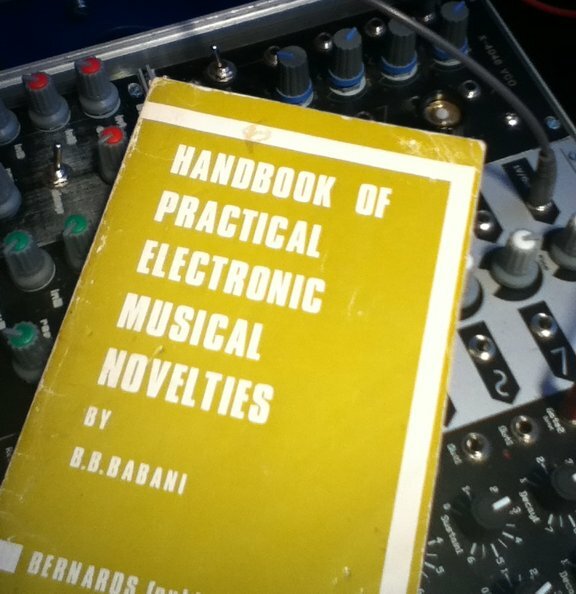 Visitors are invited to join current Greenfields artist resident WotWot and home made synthesizer specialist Nicolas Lafay (a.k.a one half of multimedia performance group Anti Set) from 2pm onwards to explore strange noise making circuits, creative module patching and to make some homebrew, handmade electronic music. The workshop and session are aimed both at total beginners in the field of modular synthesis and at more experienced soundhackers/circuit benders. Anyone who has their own self-made noise circuits or electronic instruments is welcome to bring them and to join in the fun! 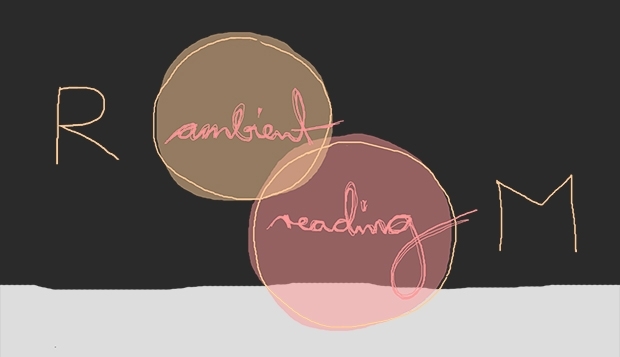 Our next Ambient Reading Room will take place on Thursday March 28th from 7:30 pm onwards with a special selection of books on the theme of Rewiring Culture chosen by our current artist resident WotWot. Providing a soundtrack for this derive into the unknown will be the ever wonderful DJ ABS (a.k.a A und V gallery organiser and sound artist Anna Schimkat). The Greenfields Studio and Sublab e.V. 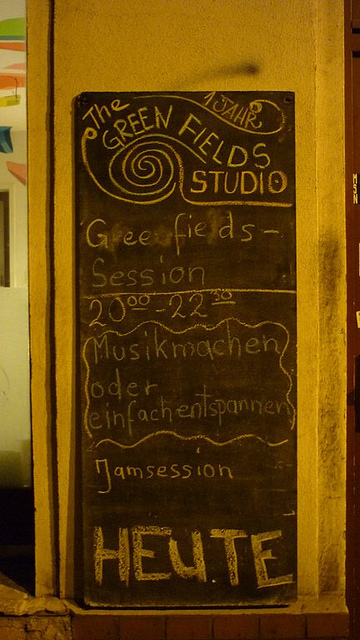 present Greenfields Geräusche Part III – a night of hacked sonic synthesis and experimental sound performances. Bringing together artists from five countries, this third edition of our occasional Greenfields Geräusche event series focuses specifically on sound hacking: DIY synthesizers, circuit bending, homebrew electronic noise generators and creative signal routing/patching. The event will feature short presentations from each of the audio artists about their practical, technical and artistic methods of noise generation followed by a series of live audio-visual performances in collaboration with video artists. Arma is an artist and curator from Vilnius, Lithuania, working in the field of weird / experimental music. He runs cassette label Agharta, organizes experimental music events and as a musician/performer has toured Russia, Germany, Poland and the Baltic states. Anti set is a duo composed of Andrėja Šaltytė, a video performer from Lithuania, and Nicolas Lafay, a sound performer and composer from France. After many performances based on extreme dance music with cinematic images of body movements, Nicolas began constructing his own instruments and sound effects which produce abstract and noisy sound. Detriment glitch from three countries. Current Greenfields Studio artist resident WotWot will perform sonic improvisations using his canon of home made synths and noise circuits. Accomapnying him will be media artist Danjing and musician/producer Asassenated. 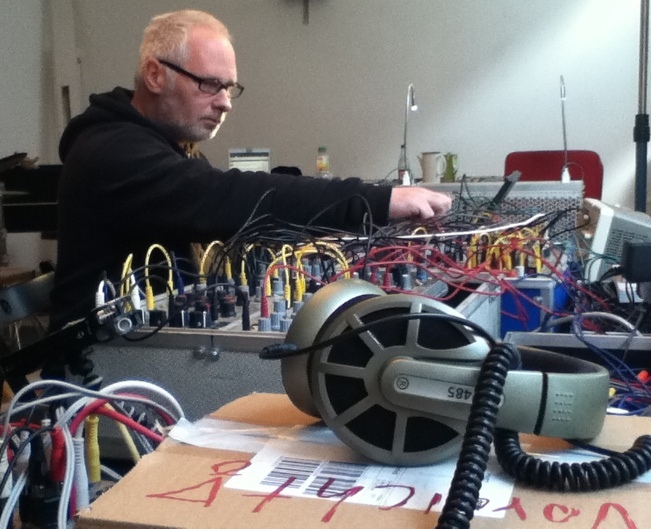 The Greenfields is very pleased to welcome sound artist, DIY synthesist and handmade electronic music expert WotWot back to the studio as our new artist in residence. Some of you may recall WotWot’s previous adventures at the studio last year during his first residency visit, but for those of you who have not yet experienced his homemade klangspielzeuge, you’re in for a treat of bleeps, bass and white noise! 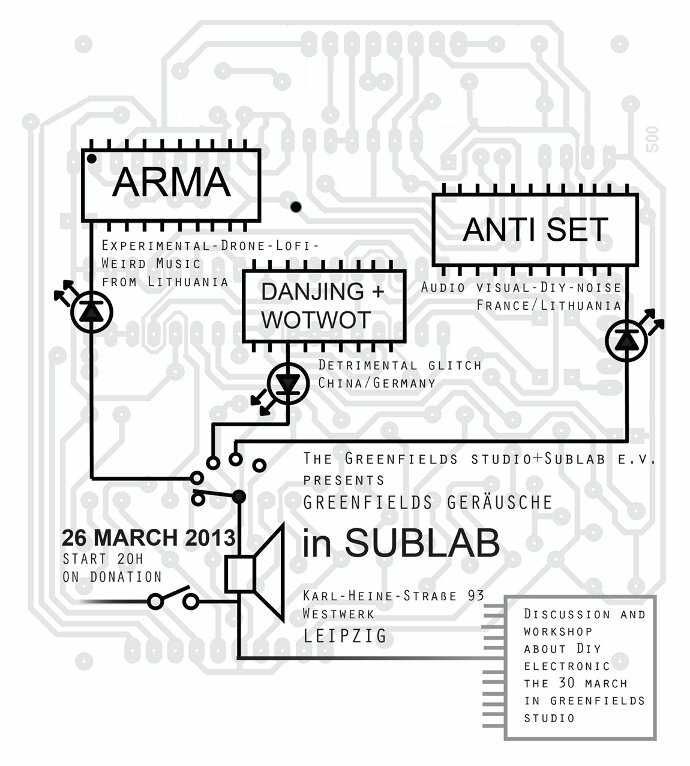 During his one week visit, WotWot will be keeping busy, with appearances at three events: he will be playing live at Sublab alongside Arma and Anti Set on Tuesday March 26th, he will be curating the book selection for the next Ambient Reading Room on Thursday March 28th and he will be part of an open DIY Sound Synthesis workshop here at the studio on Saturday March 30th. In addition to this, WotWot will be using his portable sound-synthesis lab (which he has temporarily installed into the Greenfields Studio) to construct a new range audio patches and add the finishing touches to his brand new light-organ. Venture through the snow and cold winds to The Greenfields Studio this Thursday (21.03.13) from 8pm onwards, and thou shalt be rewarded with the glorious wonder that is The Greenfields Open Jam Session.